I've spent nearly my entire life around Aloha shirts - from owning and acting as Art Director of Kahala Sportswear, authoring a book, giving lectures and collaborating with companies big and small. Was born at a time when my parents were starting their own garment company here in Honolulu. Two and a half decades later I started working for my Father, and shortly thereafter was in charge of running our family operation. We made shirts under the HRH label in the 70's and 80's. We acquired the name Kahala in the late 80's and changed our company name to Kahala by HRH. 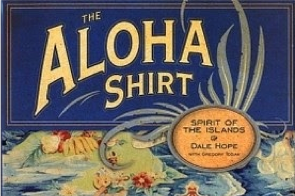 Authored the definitive book on the history of the Aloha Shirt in 2000 and have continued to work with companies with projects and collaborations. 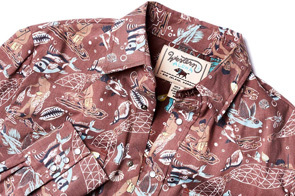 On this site, you can learn more about the history of the Aloha Shirt, take a look at past collaborations, or view a gallery of some of my favorite designs. Feel free to ask a question about anything related to Aloha Shirts.